Pain is never a welcome part of the our human experience, but nonetheless an inevitable one. Traver Boehm shares lessons learned during his year-long travels on how to harness the pain we all experience in order to live the best year of your life. 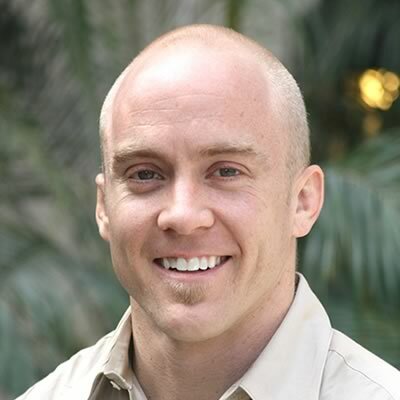 Traver Boehm is an author, speaker, and transformational coach currently practicing intentional homelessness. When Traver was a child he wanted to be a ninja – that was all. Swimming and playing water polo for Boston College, while earning a B.A. in Asian Philosophy, led to a Master’s degree in Tradition Chinese Medicine from Yo-San University and a career in Mixed Martial Arts. Opening CrossFit Pacific Coast in 2009 brought him to beautiful Santa Barbara. With avid travelers for parents and employers, Traver has been fortunate to bounce around the globe and see the world from many different perspectives. He’s been kicked and spit on in subways for being a Gaijin living in Tokyo as a youngster, laughed with Indian porters while sharing cheap wine and traveling across India, and protected billionaires living on luxury yachts throughout the Caribbean. He’s surfed through Central America, fought Muay Thai in Thailand, and doesn’t ever plan to stop exploring this world of ours. Traver’s latest venture – The Year to Live Project – will encompass the entirety of 2016 and seeks to tackle the personal question, “What would you do if it were your last year alive?” The project has led him to volunteering in a hospice in Santa Fe, sitting in meditative silence and isolation while in complete darkness for 28 straight days in Guatemala, and will next take him to the woods of Utah to survive with only a knife, a poncho, and a water bottle as tools. His first book, named after the project, is due out in 2017. When not speaking, or teaching meditation or self-defense, he’s often found chewing on his thumbnail, staring at his computer, obsessing over a word choice. Traver consults with clients from around the globe, assisting them in vastly improving the quality of their lives. Very interesting. I would love a consult to help me have an amazing life with many constant pains.